Somebody, please pinch me. No really, pinch me! Before you write me off as some weirdo let me explain. As I write this, I’m sitting down in a cafe in Chiang Mai, Thailand sipping on my 3rd cup of coffee for the day. Lost in thought in a whirlwind of incredible experiences, I can’t help but look back on the last couple of months as I let out a huge grin. A few months ago, I was driving a tuk-tuk across Sri Lanka for 10 days with my partner in an Amazing Race-style competition. A few weeks after, we were surfing the waves in Bali and Lombok. Two nights later, we’re sipping cocktails at the swankiest rooftop bar in Bangkok. Three days ago, we were indulging in a staycation in one of the fanciest boutique hotels in Chiang Mai. Let me drop a bomb on you. For the last three years, my partner and I have been getting paid to travel the world. Yup, it’s true. 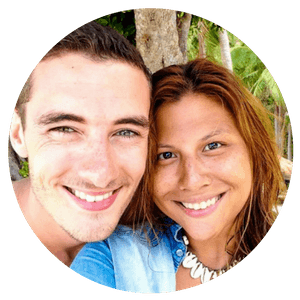 Over the last three years, my partner and I have created our dream job by working as professional travel bloggers. While a lot of people think that blogging isn’t a full-time gig, if you work hard enough, you can turn it into your main source of income. Currently, we are consistently making 5 figures per month all while doing something that we love. Don’t get me wrong. This didn’t happen by chance. We didn’t just wake up one day with a successful blog that was consistently making revenue, allowing us to travel and work from anywhere we want to. It took a couple of years of hard work to get things off the ground but as soon as it did, we were living the dream. Starting a travel blog was the single best thing we’ve ever done and has since opened so many doors of opportunity for us. It has also allowed us to travel and live on four continents. Now you must be wondering. How exactly do we get paid to travel? In this article, I will break down how we got started in this industry and how we make money online and the various income streams that we have in order to get paid. 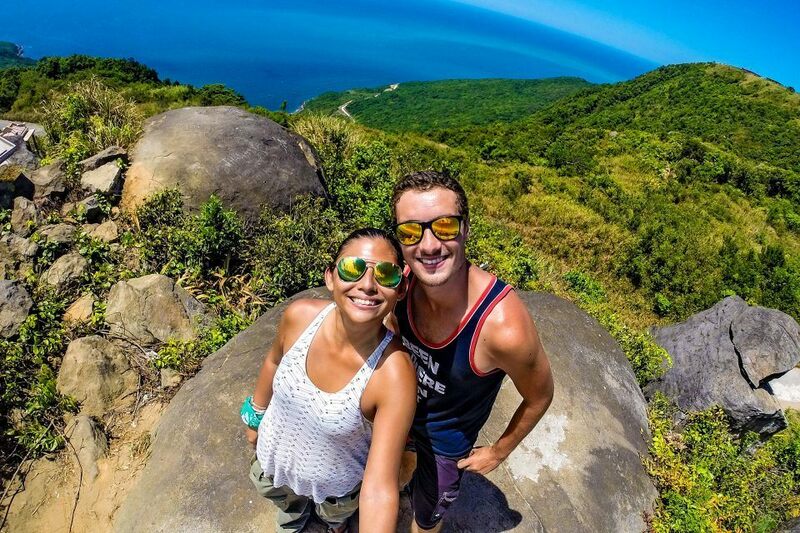 After spending all of our savings on a year-long trip, we were both stuck in a rut. All we wanted to do was travel again but I had just spent the majority of my hard earned money traveling and paying for a master’s degree. Coming from the Philippines, it took me YEARS to save up enough money to travel. I knew that if I wanted to travel again, I had to somehow figure out how to make money from the road. At that time, we didn’t need much. We were budget travelers so I figured, as long as I could find a way to make $500-1000 per month, I was good to go. Our first idea was to create an e-commerce business selling travel t-shirts. We went as far as ordering samples and setting up the site. We soon realized that no one would really buy our t-shirts apart from our initial family and friends. After a few bottles of wine, we decided that we were going to start a travel blog. Taking the first step and leaving to travel changed our lives and all we knew was that we wanted to create an outlet to inspire others to do the same. 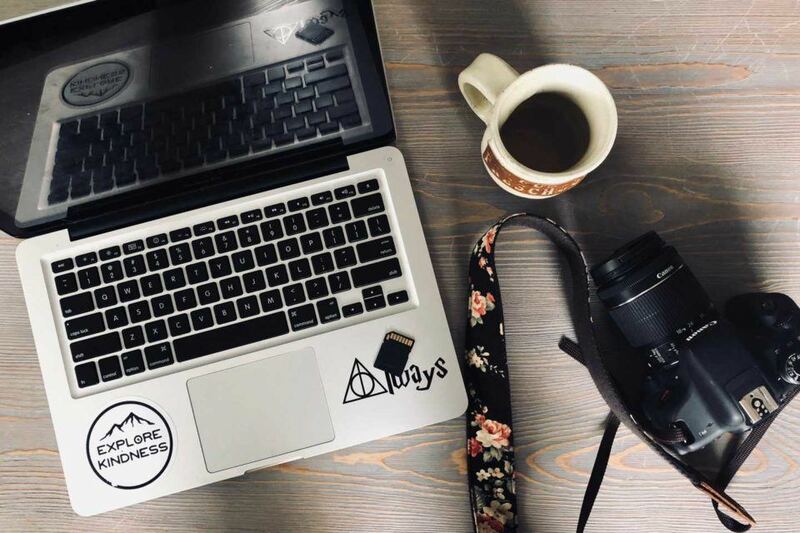 Not knowing what type of work went into starting a travel blog or how to even make money from it, we sorta just leaped and hoped that the net would appear. My partner Tom had a bit more money saved up while I just about had enough money to travel for two months in Asia. Relentless about this dream that we could travel the world and make money, we quit our jobs to go into full-time blogging. Free Training: If are interested in learning all about how we make money online, then you need to attend our Free Masterclass Training! Here, we share some of the biggest mindset shifts and how we were able to make money from our passions! The very first month we went into full-time blogging mode, we made a grand total of $50. The next month, we made about $150. The month after that, we made $300. The month after, we made about $400. Although we still weren’t rich, after seeing consistent money roll in, we had a lightbulb moment. If we worked hard enough, we could travel forever and actually get paid to travel. At that time, this notion seemed like a far-fetched dream. From that point onwards, we threw ourselves into a frenzy producing content, growing our social media channels all while consistently driving traffic to our blog and trying to gain a loyal following. 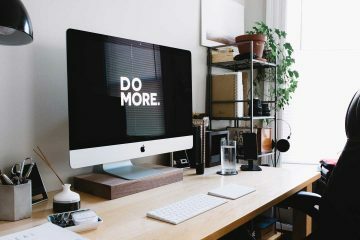 We recently started publishing our monthly blogging income reports to encourage others that making money from your blog is possible as well as to hold ourselves accountable to keep building and growing our business. Now, I won’t lie. We went on for about a year or so until we made decent enough money to fully survive. 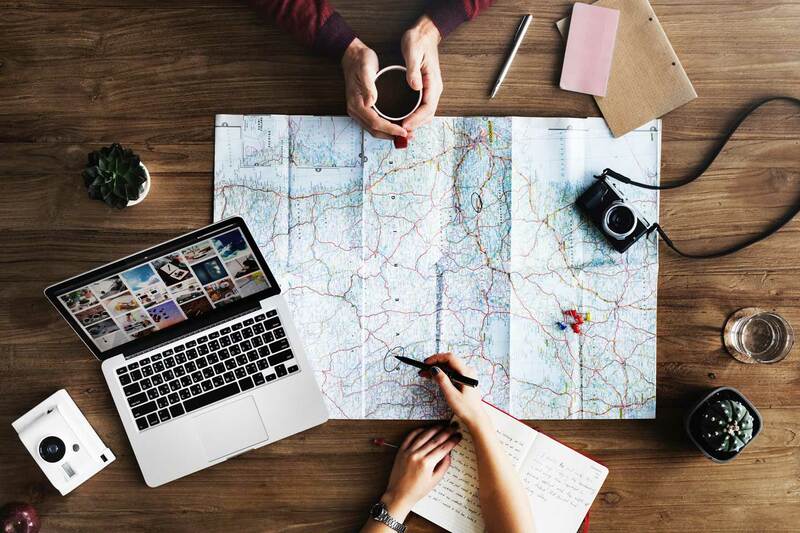 If you’ve ever experienced trying to build a business while constantly traveling, you would know that this can get very stressful. It was tough at times and often drove us nuts. So why did we do it? We knew that if we pursued this big dream of ours hard enough, it would happen. Two and a half years later, our blog now brings in hundreds of thousands of visitors every month and fully supports us alongside with our small team of writers. So yes, travel blogging is hard and making money from it is even harder. However, starting a blog has given us the freedom that no other job could ever have. Now, onto the good stuff. How we make money! Before you read any further, I want to make things clear. I am not telling you how much we earn in order to brag. My partner Tom and I are passionate about helping others achieve this dream of being able to travel and becoming location independent. 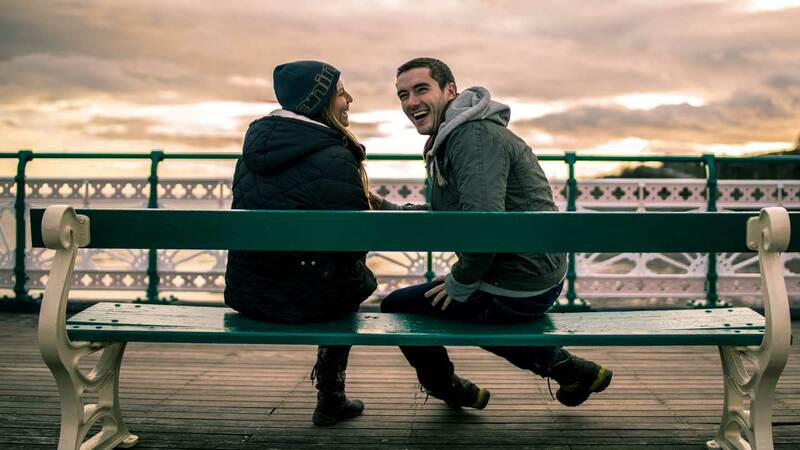 The freedom that our travel blog has given us is incredible and we want to share this feeling with others. Letting you know how much we earn is a way to motivate you further and show you it’s possible. 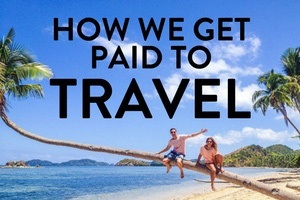 Travel blogs can make money from so many different ways. We’ve purposely diversified our income streams so that all our eggs aren’t in one basket. The reality is, as a travel blogger we are reliant on so many outside platforms which can change algorithms in an instant. Which is why early this year, we decided to focus on creating multiple income streams. To give you a quick overview, I will list down a few ways that most blogs earn their income from. This is how we make the majority of our money currently. Brands pay us to advertise them in articles, to be their ambassadors, get featured in our newsletter, and to promote them on our social media channels. This will eventually come as your travel blog following grows. Due to our large audience reach, brands reach out to us in order to gain exposure. One thing that you need to keep in mind when working with brands is to never be a sellout. Your audience is the most important thing on your blog so you have to make it a point to always be honest and genuine about the things you review and write about. We once got sponsored nifty little backpacks. We wrote a gushing review about them as we genuinely loved a few of the features. A month later, we discovered that the bags were actually very poorly made. Some of the seams were ripping open and the mesh netting was easily torn. Even though we were given those bags in exchange to publish a review, we had an obligation to our readers to be honest about their poor quality so we ended up altering our review. Brands will choose to work with you based on your voice, your storytelling skills, your influence, as well as your general travel style. We also make it a point to only work with brands that we know and trust! In fact, I remember very early on turning down a client who wanted to pay us $1000 for a quick article. His product and brand just wasn’t something we were comfortable endorsing to our readers. Although we needed the money at that time, I’m glad we held our ground. Income: To date, we make anything from $1000-5000 a month per deal from brand partnerships. 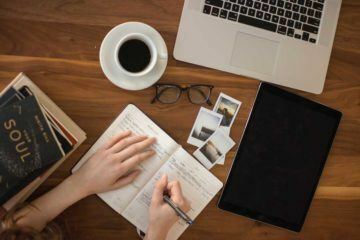 Another great way to get paid to travel is through freelance writing which is how a lot of travel bloggers make their money from. Your travel blog is essentially your online writing portfolio, showcasing your best work. You can pitch stories to various publications and eventually get published on their sites. 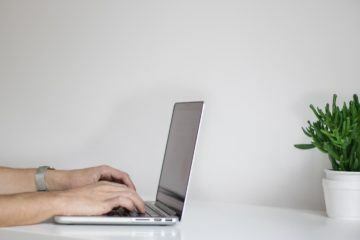 While it’s difficult to get your foot in the door (especially since a lot of people will write for almost nothing), some people still make a decent living from freelance writing. We personally never focused on freelance writing because we were too busy writing content for our own blog. Apart from the occasional job here and there, we do very little freelance writing. Income: We get paid anything from $150-500 per article. As soon as you’ve established an online presence, you can get paid for Instagram posts, Twitter parties, Facebook posts and more. Remember, social media is more than just a numbers game. It is all about engagement! 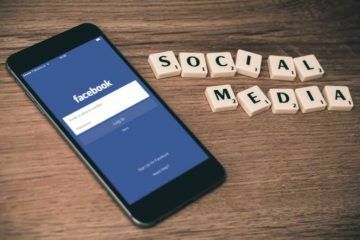 Nowadays, social media is everything as it is the one platform where brands can directly reach out to users without having to spend tons on TV or print advertising. As soon as you’ve built a dedicated following, you will start to receive offers from brands for Instagram posts, Facebook shares, and Twitter tweets. There are also a couple platforms which you can join to help you actively get social media campaign jobs. There are travel blogs out there who make up to $30,000 a month just from affiliate sales! Affiliates are when you recommend a product/service to someone and if they sign up, you get a commission. 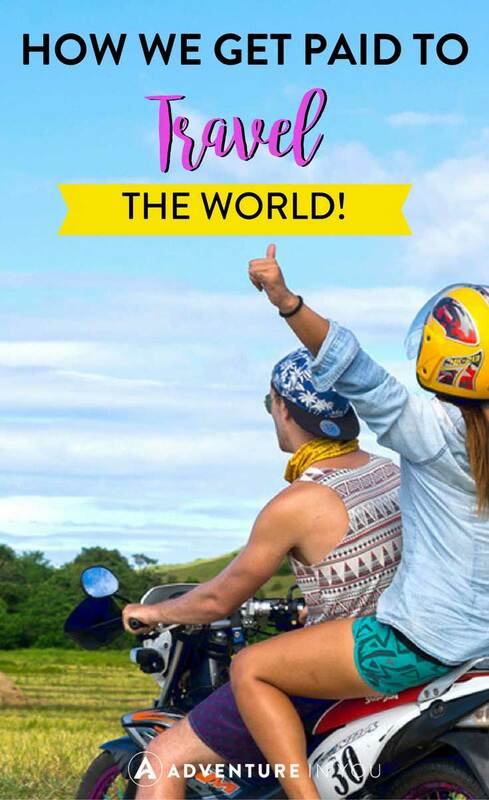 Popular affiliate sites for travel bloggers are: Hostel World Booking.com and Amazon. Other examples are Blue Host, World Nomads, and TEFL. Affiliates are one of my favorite income streams and is a great passive income source. Although we spend time creating these posts, optimizing them, and making sure they rank well, the time spent on them and the earning that you receive is not directly related. For example, to date, we still make good commissions from a hotel post that we wrote one year ago. 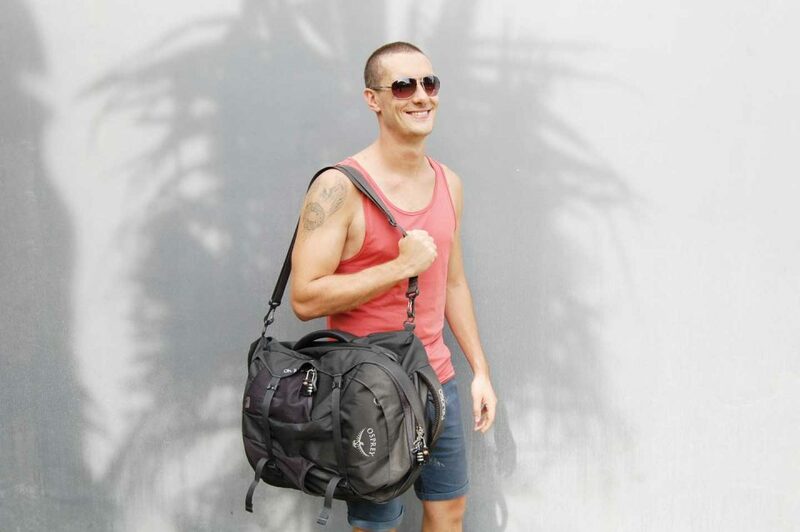 Similarly, we have articles like our Thailand Packing List that bring us good money from Amazon. Although the commissions are small, if you get enough volume, these small little sales add up. Last year, all of our income was dependent on brand partnerships and we had zero passive income. I decided to launch an affiliate marketing strategy across our whole site, January 2017. My goal was to go from earning $0 to $4000 every month passively so that regardless if my partner Tom and I put in the hours, we knew we were going to earn from our website. The money that we earn from affiliates allows us to take time off from our blog without having to worry about our income. This right here is golden and has allowed us a better work-life balance. Income: We make around $2000-4000 every month from affiliate sales. Businesses pay you to add a link to their website as the more links a business has pointing to their site, the higher Google will rank it in search results. If you want to play by Google’s rules- and we suggest you do, only offer No-Follow links. Depending on how big your site is (or if you have a really dedicated following), they will still pay for a link just for brand recognition. Income: You can earn anything from $200-500 per link. Another way to monetize your travel blog is by selling products. Use your website’s traffic as a marketplace to sell ebooks, courses, or physical products. Part of our project to diversify our income was to create relevant products that our users want. 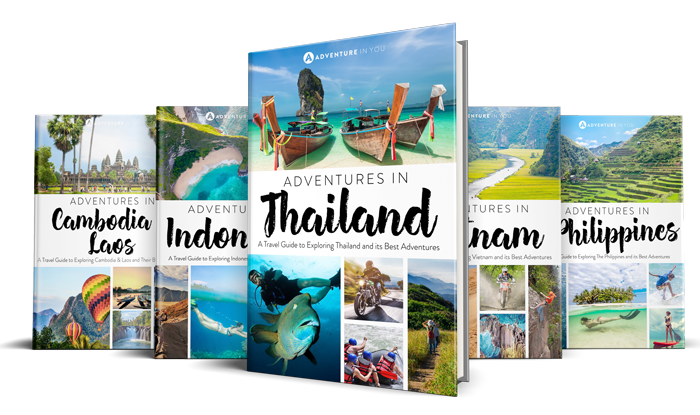 We get A LOT of traffic to our articles about traveling Southeast Asia so for us, it made sense to create travel guides. We now have ebooks from Thailand, Vietnam, Indonesia, the Philippines, Cambodia & Laos. These books took months of hard work but apart from the extra income, they also give a ton of value to our readers. Since making them, we’ve received tons of messages from our readers thanking us for putting them together. Creating your own products based on what your readers want is something that we wish we started earlier. It has helped us expand our brand and also provided us with another source of passive income. Sometime this year, we’ve received more and more messages asking us how to start a blog and how we’ve managed to turn our blog into a business. Due to this, we also launched our Blogging Fast Lane Accelerator course which is designed to help others grow and monetize their blogs, FAST. When we first got started on our blogging journey, we made so many mistakes all because we were trying to learn everything on our own. If we had looked at what other people were doing and invested a bit of money into learning the ins and outs, we would have reached our goal of making money from our blog a lot sooner! Income: From our ebooks sales alone, we make anything from $500-1000 per month. Interested in starting a blog? Take our Free 5 Day Course below! When we first started our website, we said we would never ever get ads. However, we’ve realized that from a users side, almost every website out there have ads so seeing them when you read a post doesn’t ruin the user experience. We decided to jump on board the Ad bandwagon and we’re so happy we did. Unlike Google Adsense (who pays you peanuts!) there are plenty of legit Ad networks out there that will allow you to make decent money monthly passively. Personally, we are with Mediavine and love them! 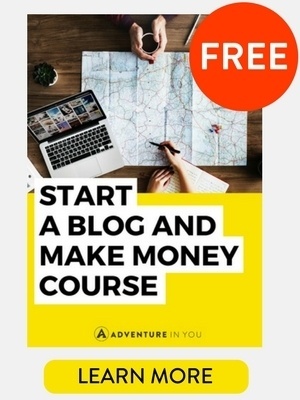 They have a super helpful inspiring community of bloggers from every niche that has achieved financial freedom (or at least created a good side income) just from Ads alone. Income: We make $3000-4000 monthly from ads. Apart from these money making strategies, one of the biggest (and best) parts of being a professional travel blogger are all the perks! In return for writing an article or a review on your website, you can get hotel stays, airplane tickets, campervan rentals, comped meals, and so on. Remember that in order to foster a good relationship with brands that you work with, always overdeliver and be professional. Early on, we got sponsored to do a number of things (skydiving in Switzerland, a trek through the Amazon Rainforest, Eurorail Passes for an entire month) and with each one of those deals, we made it sure to give them a good return of investment. Now, most of the companies that we work with work with us on an affiliate commission basis due to the number of leads and bookings that we send their way. Aside from these items, I listed above, travel bloggers also make money from leading tours, public speaking, destination marketing, and so on. The bottom line is, there are a million ways on how to make money once you have a loyal audience that’s willing to support the stuff that you put out. Remember, with travel blogging, the hardest part is building an audience. 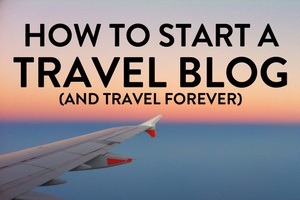 Most travel blogs don’t monetize until they have a fairly sizable audience, to begin with. While this is true in a certain sense if you have a small niche and a dedicated following, it’s never too early to monetize. Um..no. Travel blogging is a hard niche to crack but in all honesty, we wouldn’t have done it any other way. Every day, we feel insanely grateful that we get to work on something we are passionate about. Whether it’s writing articles to give out travel information, writing inspirational articles that will reassure others that traveling isn’t so scary, or creating content like this that will hopefully inspire others to step outside the box. It takes a lot of hard work and now that we’ve built a stable foundation, we’re able to work less and have a healthier work-life balance. If we wanted to, we can take a month off from work and still make a similar amount of money due to the passive income models that we have created. This for us is why we do what we do and why we want to encourage others to take on this road-less-traveled path. One thing worth noting is that yes, we do make a good amount of money monthly online however, it is never consistent. One month we can make about $3000 and the next we can make $10,000. This holds true for any business owner. For us, the reward of being your own boss, being location independent, and having the freedom to travel as we please outweighs the security that any 9-5 job promises. Our blogging journey has taken us to so many incredible places and has allowed us to experience so many awesome things. However, above all, I think the best part about it are the skills that we’ve learned along the way. Prior to starting Adventure in You, I was working as a teacher and Tom worked as a waiter while finishing his degree in Aerospace engineering. Now, both of us are fluent in digital marketing, copywriting, email marketing, Facebook ads, social media, and a whole string of skills that we’ve learned along the way. These are skills that we will be able to use and apply towards any future business endeavors later on. It’s simple. If we can get paid to travel, so can you. Coming from a very traditional background where people are expected to graduate college, get a job, and climb the corporate ladder, alternative careers like ours are unheard of. However, like most entrepreneurs, it pays to take risks. It pays to follow your passion and to pursue your dreams. Never in a million years would I have thought that I would get paid to travel the world and look where I am now. My objective in writing this article isn’t to get you to quit your job. It isn’t for you to feel bad about what you’re currently doing in life. I wrote this article to hopefully inspire people who are feeling stuck in a rut. I wrote this article to inspire others to think big and to pursue the things that they love. We have big plans for our blog over the next couple of years and plan to continue growing it in a way that frees up more of our time so we can focus on creating better content, videos, and photographs to share with our readers. Afterall, we started Adventure in You so that we could inspire others to travel more and live their lives to the fullest. That’s it from me and hopefully, see you on the road. Yes, way to go! Wish you nothing but continued success and happiness. Massive congrats on such a successful journey guys – thanks for writing sucha down to earth piece which includes the realities – you’re definitely some of the most hard working bloggers in the game, and I think that definitely reflects in your success! Definitely, Mar! Loved that last article you published 🙂 I’ll contact you re. book now! Thanks! You guys are truly living the dream! I know that it’s such hard work, as I’m on the journey as well. We’re making money, but aren’t quite to your level. I appreciate all the amazing tips and transparency. It’s really appreciated because many in the blogging world can be so secretive about their success or unwilling to help others. Thanks for helping others out. Lots of great advice here for those on this path already who aren’t getting there as fast as they’d like or those thinking it’s impossible, or even those thinking it’s easy. And many people do this for years and try everything and still can’t make this type of income so it’s valuable to give a more specific breakdown of the hundreds and thousands of things you did every day for years to get to this point. Quite inspiring! You guys are doing great work. The tips you shared are really helpful for newbie bloggers like me 🙂 Keep writing! Thank you @anjalichawla:disqus !! We will keep updating our blogging section with more resources on blogging and the steps that we took to grow our blog. This blog is an eye-opener for so many newbie bloggers who think being successful full time bloggers is easy. Thanks for not sugarcoating this. Hardwork and determination is a must. And creating a niche is also very important. I am inspired by your success and want to work more hard to be a good blogger. Cheers to you guys ! Wow such an inspiring read. Blogging is indeed a hard work. There are great tips here and i will definitely keep it in mind and apply it too. Congratulations on your success. You are living the dream! Although as you point out quite correctly, it’s a lot of hard work, probably more than most people will realise. And not everybody will succeed. Unfortunately, hard work is not enough. Just like with any other business, you have to be really, really good. You have to innovate and be creative. You have to have an open ear for your audience. Understand their needs. Differentiate yourself from others. Stay on top of the game all the time. Network, engage. You can only achieve that when you really love what you are doing. Seeing your blog you really do love what you are doing, it shines through with every line. Good on you and all the best for the continued success of your travel blogging business. Great you make so much money from travel blogging. I do think there’s an element of skill too though – you write well and take great photos – and it’s important not to underestimate the impact that has on your earning capability surely? Well done though! Good you give some actual figures and show how you can actually make a good living. It is hard work and probably won’t be overnight success but you have to keep going. 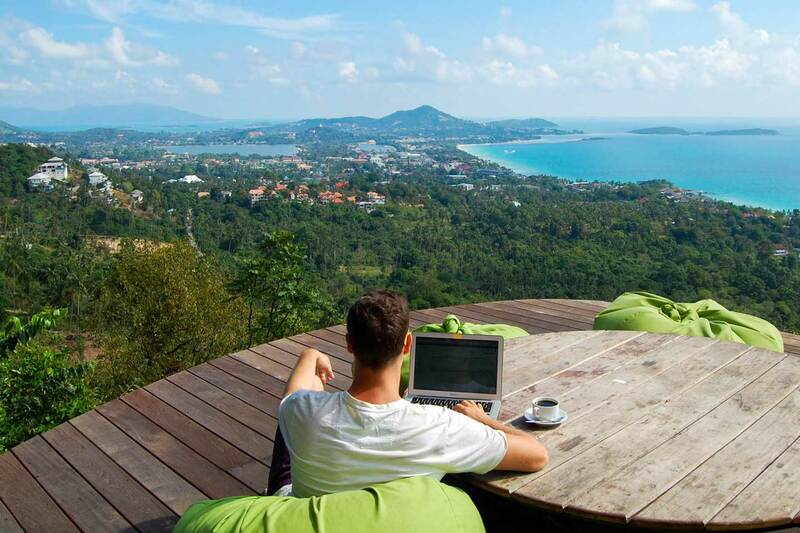 The flexibility to work from anywhere in the world is one of the best parts. So wonderful that you are able to support your travel fully via your blogging income and that you are open to sharing it with others. Great to read about the different income streams too and which ones are key for you. Thank you @siddharthajoshi:disqus means a lot! The benefits of pursuing your passions is worth it in the end. So so so incredible! I absolutely love that you’re giving such uplifting, encouraging advice to upcoming bloggers. It gives everyone hope that it’s never too late! ?? I’m glad you pointed out that it’s not easy. A lot of bloggers write up these posts saying that it’s easy and then turning the post into a sales pitch. I really appreciate that transparency and the real tips!